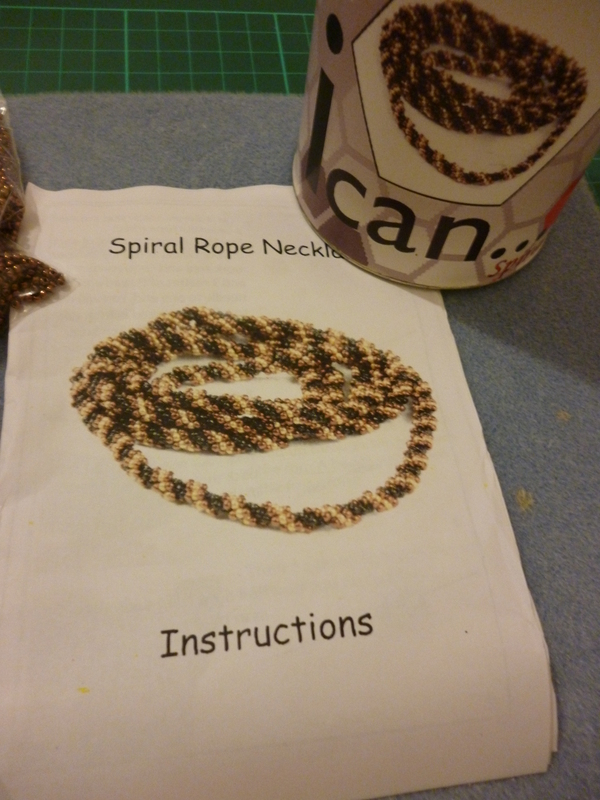 This week, we have a spiral rope necklace kit from Queenbeads. In all fairness, if you know the spiral rope stitch, a jewellery kit is completely unnecessary. But it comes with a lot of beads; more beads than you probably need. Perhaps matching jewellery is in order? Let’s do the usual “look at the contents”. 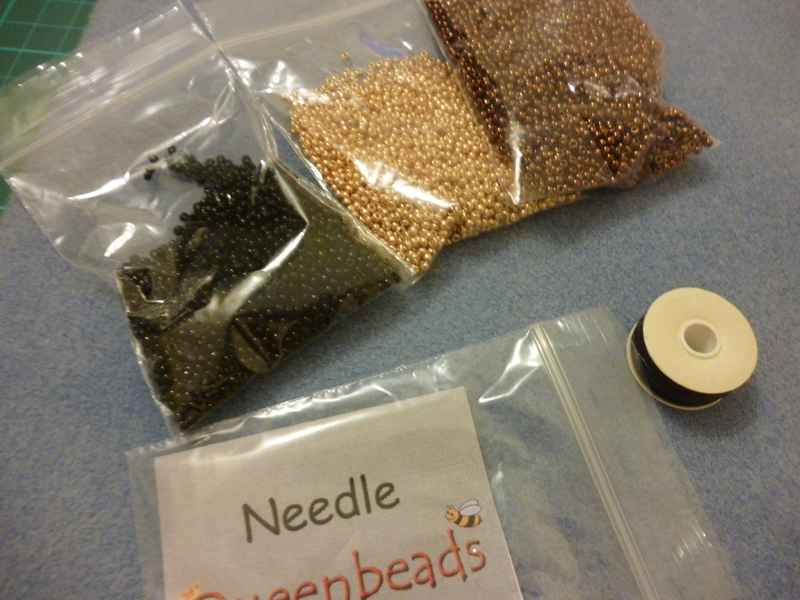 There are three different colours of seed beads, nylon thread, and a needle, with a coloured instruction booklet and an organza bag. As I mentioned earlier, the spiral rope stitch is very easy. 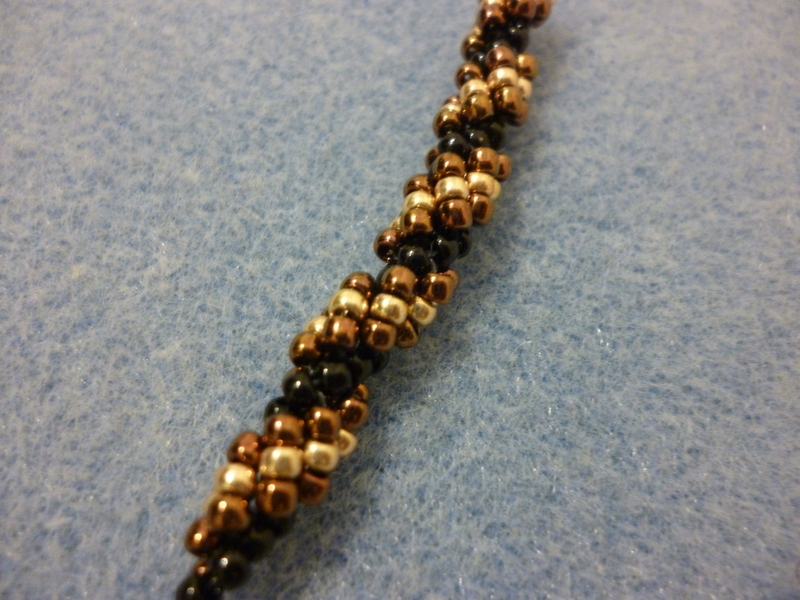 You choose one colour as the core bead (in this case, black) and other beads will lie next to it. The pattern spirals up. 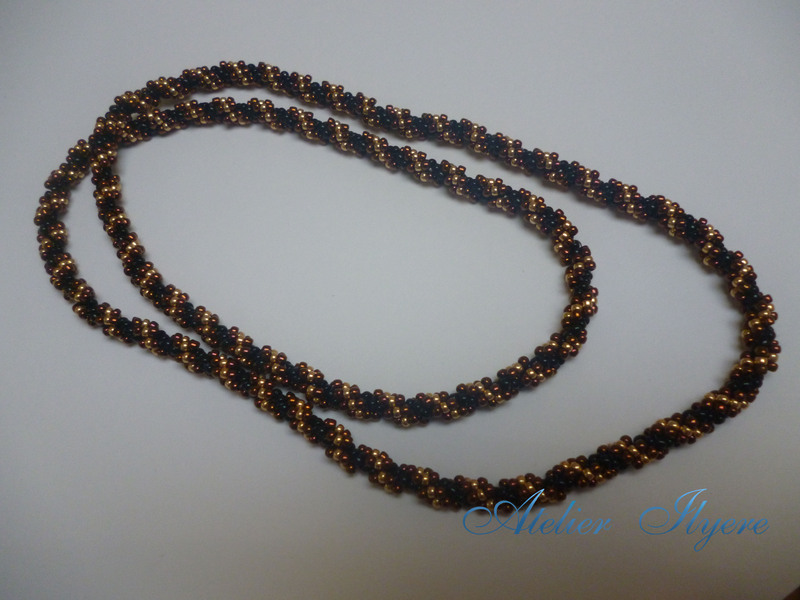 This particular version does not have a clasp,, so the necklace had to be long enough to go over my head. The stitch joins seamlessly together. A lot of thread went into this! I must have cut at least nine metres of thread. 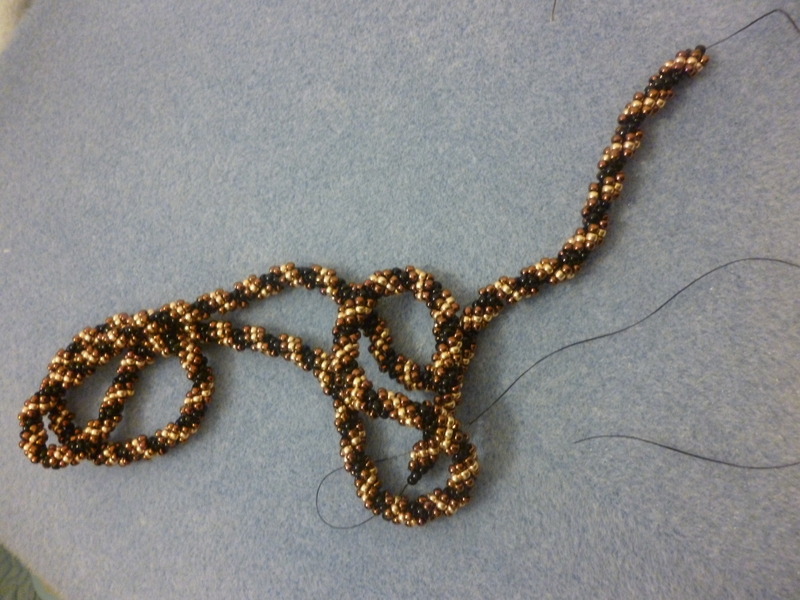 The finished necklace was about 70cm in length when measured straight, and sits comfortably around my neck. The spiral rope stitch is great! 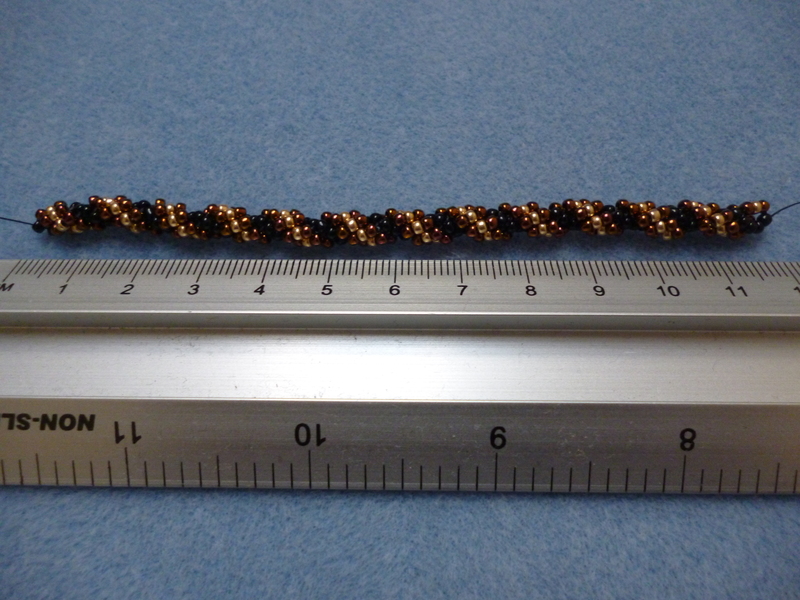 It can be used to greater effect when the non-core beads are larger in size or of strange shapes. I’ll be sure to try out some bracelets or straps with this. This entry was posted in Beads, Jewellery, Necklaces, Thread and tagged Beading, Jewellery, Kit, Necklace, Queenbeads, Spiral rope stitch, Stitch. Bookmark the permalink.